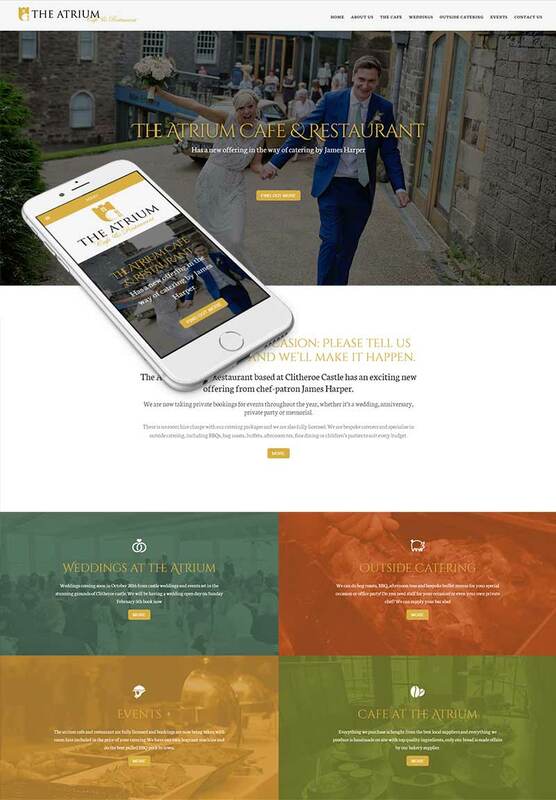 This website was designed to show case what the Atrium Cafe & Restaurant has to offer be it a Sunday lunch an afternoon tea or a full wedding including ceremony. I designed the logo and the website from initial concept to full build including a CMS so the client can add dates for events and alter anything he wants. Logo design, Website Design & Build, CMS System, Mobile Responsive.